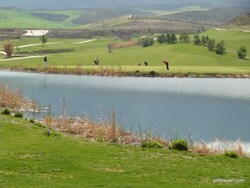 Another relatively new 18 hole course constructed in 2006 situated just south of the city of Granada. We have not yet played this ourselves and little information is provided by them. Their listing in Andalucia Golf states: “The golf designer, Enrique Canales, made a great job by designing a Tour Playing Course with a length of 6,575 metres”! "The golf course, designed by Enrique Canales Busquets has been created with respect for the natural environment of indigenous wildlife and vegetation, providing a fantastic meeting place for golf enthusiasts. Along its eighteen holes, a par 72 of 6,598 meters, you will enjoy a stimulating and unforgettable round that will make you want to stay with us. Santa Clara Golf Granada is specialised for its spacious and fast moving greens. The course has a large variety of obstacles, which offer you a big challenge and as a result it is the perfect design for every kind of handicaps. "The course is highlighted by its third hole, a nonending par 5 of 550 meters, as well as its seventh, thirteenth and fourteenth, with 463, 544 and 521 respectively, which require golfers to make long and acute shots. "We should also mention the excellent maintenance of the course, which make Santa Clara Golf Granada a perfect course to enjoy an unforgettable golf day." Don't you love the Spanish marketing and translations! They are advertising green fees of 49€ during the week and 10% discount for online bookings. They do also offer special deals - 53€ for 18 holes including buggy and a 2 course meal when I asked. Telephone bookings are on +34 858 702 800. 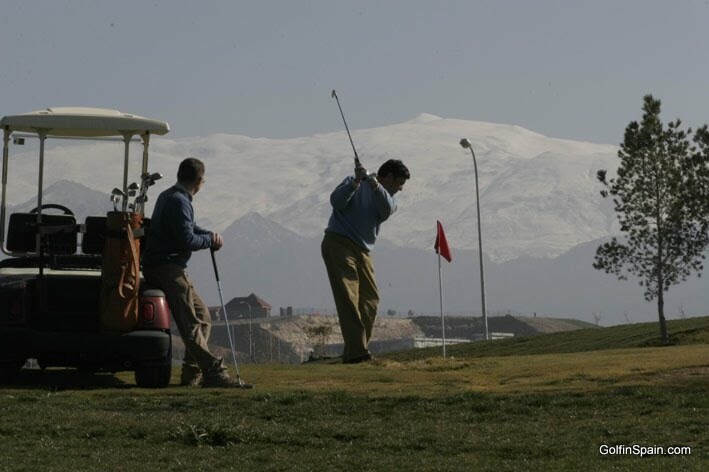 Their web site is: www.santaclaragolfgranada.com but the photos used are from GolfinSpain.com.